I loved the sound of this book from the synopsis, it was historical and it was also a fantasy book with dragons and beautiful gothic castles! 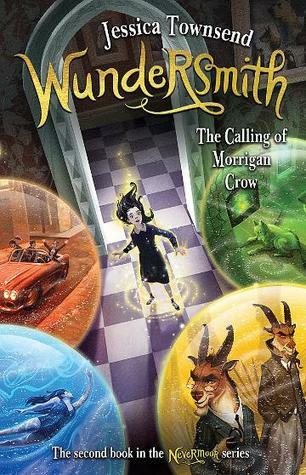 While I did enjoy reading this book the entire time I just felt that something was missing, I wondered if this was a spin off of another book series or set in the same world as another book series at least. I wasn’t surprised to discover that Shana Abe, while this is her first foray into Young Adult literature has quite a bit of experience writing adult romances and I guessed right, there is another adult series set loosely within the same universe. The writing in this novel is beautiful though I felt that it left the main characters at times coming off as distant. Lora while sweet I never really felt sorry for her even though it would be tough living in a boarding school surrounded by wealthy girls. She was an interesting character however and I am interested in finding out more about her powers linking music with precious gems I found that really different and fascinating! The two boys which make up your typical YA love triangle are both interesting though I do this this triangle is quite off kilter especially with how the book turns out. I’ll be interested to see how Abe pulls off the romance angle in book 2. Jesse is all sweetest and light and theirs truly is a star crossed lovers romance. On the other hand there is Armand who is arrogant, rich and has an intense heat within him. Normally I’m more drawn to the arrogant alpha types in romances but I really loved Jesse and I think that his talents are fascinating and such a beautiful compliment to Lora. The actual storyline is a little slow and if I think back, not that much actually happens. Abe is definitely playing to her strengths and this is foremost a romance with a smidgen of supernatural added in for good measure. If you are looking for a story that is romantic with some strong character building then I think you would enjoy The Sweetest Dark.